We are excited to have Leon Seliger on our Rural Mutual team as the new Senior Field Premium Auditor. 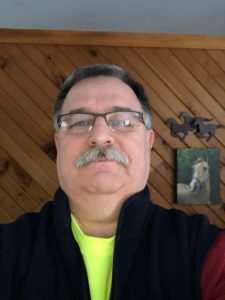 Leon comes to us with 32 years of experience as a Field Premium Auditor, auditing in the states of Michigan, Minnesota and Wisconsin. He works remotely in Ringle, WI. Favorite Athlete? I have been a lifelong Packer fan. My favorite athlete was always Brett Favre because he treated the game as fun, as a game, not a business. Where are you from? I grew up in Wausau and have lived here most of my life. The rural area I live in fits me perfectly, quiet and relaxing. What did you want to grow up to be when you were a kid? I knew right away I wanted to play baseball. When I was 6, I broke my lip trying to play with older brothers and they knew I was hooked and bought me a glove. I wanted to play in the majors, but I played through college, and then took up softball and played until my knees said no more at 48. Welcome, Leon. Rural Mutual is happy to have your experience and expertise on our team!